Experience stunning color contrast, fluidity of motion and exceptional clarity with more than 8 million pixels. 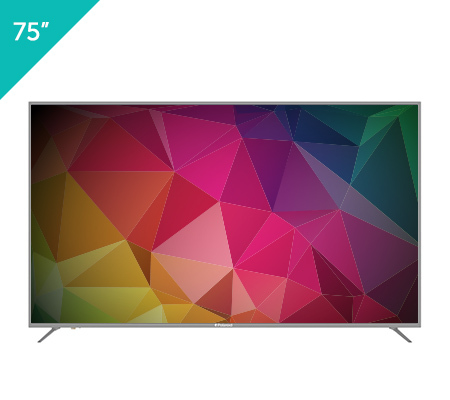 The Polaroid 75" 4K Ultra HD (UHD) resolution television provide entertainment lovers with a cinema style experience with four times the resolution of a full HD TV. Three HDMI inputs including an HDMI 2.0 guarantee the highest digital audio and video quality. 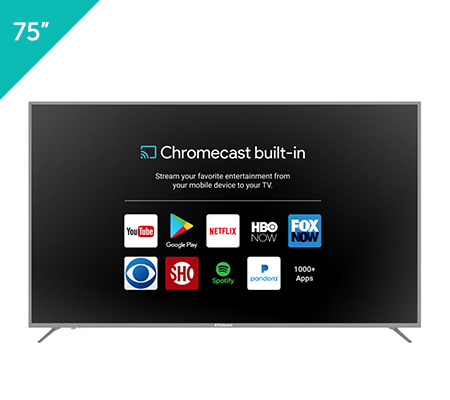 Chromecast built-in is a platform that lets you stream your favorite entertainment from your phone, tablet or laptop right to your TV.